I went to the Royal Academy of Music with the intention of studying with William Bennett who had inspired me to apply there. For my first year I had lessons with his wife Michie who took me back to the basics of Taffanel & Gaubert, and Marcel Moyse. Although at the time I was desperate to play all my favourite pieces, I now look back on that time and realise how invaluable that work was for me. 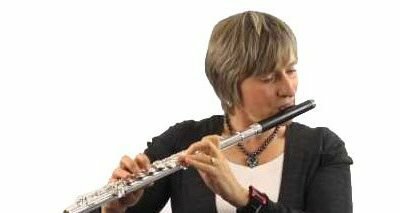 If I’m honest, my second year with Wibb was wasted through my lack of technique and so the following year I went to Kate Hill who told me to practise! It was then that I started to put in some proper work or else someone was going to find me out (for so long I had relied on my half-decent ear and ‘natural’ ability). I also had lessons with Sebastian (Bas) Bell who, in such different ways to Wibb, was inspirational with his enormous enthusiasm for all musical genres and individuality. Keith Bragg was my piccolo teacher but also fantastic help when I prepared for any audition and was always constructive as well as supportive. I always wanted to play in an orchestra. My Dad was a french horn player and for as long as I can remember I always wanted to have an orchestral career. My parents, both musicians, never pushed me into the profession but they made me aware of the potential competition out there if I were to try and get a job, but when you love doing something you don’t tend to think practically! Maybe that was the good thing to do as I didn’t put myself under too much pressure. Bas really helped me in preparation for auditions by advising me to listen to loads of music, while Wibb never let me make a phrasing mistake (something I concentrate a lot with my own students). It’s not something I’d necessarily recommend to students, but for me I think that having had several teachers and gaining so many different opinions and ideas, it worked for me and helped me to become an open-minded, flexible player. My first job was with BBC National Orchestra of Wales, sitting next to Jonathan Snowden. I remember my first gig with them when I was on trial; it was Shostakovich 15 in the proms with Jonathan on my left and Sharon Williams (currently principal Piccolo of the London Symphony Orchestra) on my right! It was terrifying but I was just so inspired. It seemed to go OK because I given the Sub-Principal Flute job a couple of months later. I learnt so much about flute playing and musicianship just by sitting next to Jonathan in the orchestra. I was bowled over by his enormous range of dynamics and his ability to soar over the orchestra. I had to try and match his sound and musicianship which was so exciting and a huge challenge to me at the time. What were the differences for you going from playing first flute to second? 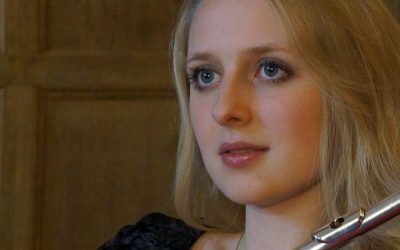 When I was in Wales, I loved my job as second flute and being in the harmony role (you can’t beat two flutes playing in thirds together!) but I also looked forward to the occasional role as first. In actual fact I think that playing second flute if much more of a challenge than playing first by not only trying to match the sound of your section leader but also the vibrato, phrasing and the dynamics. It’s really great fun and I do miss it, but perhaps I wanted more solos! As a first player, you have new challenges other than just leading your section, you need to be much more aware about blending with the other woodwind Principals and balancing to them and the rest of the orchestra. I love being in the top register and playing the melody along with the first violins, there’s nothing better! Was there a difference between the orchestras that you played with? Not really. All orchestras nowadays play to a very high standard but I think the main difference was the audiences they were playing for. As a radio orchestra, the BBC National Orchestra of Wales did a lot of studio recordings and live broadcasts. These were often concerts performed once or twice after little rehearsal and so the emphasis was on fewer mistakes. I quickly got a lot better at sight-reading and the ability to ‘perform’ pieces of music straight off the shelf as it were. Even from the time I was on trial with the Hallé, I was made aware instantly of how much more the audience’s reaction was valued by the orchestra and how the players value the public. Bums on seats is crucial to the Hallé’s existence. I remember playing Dvorak’s Symphony no. 8 when I was on trial and the conductor got me to stand up and take a bow and the clapping got louder. I’d never experienced that before! The Hallé rely heavily on their audience; my chair is even sponsored by somebody and I get to meet him regularly throughout the year which is a nice thing. Both orchestras have a hugely important place in society but just in different ways. What do you look for in players at auditions? There are so many fantastic flute players out there but I suppose, ultimately, I’m looking for a sound which can blend with mine. Of course there are the basic qualities which one needs to be able to pass an audition: rhythm, pulse, intonation and so on and for these are useless without good musicianship. I am not too fussed about people making mistakes as long as they are committed to the music and phrasing. 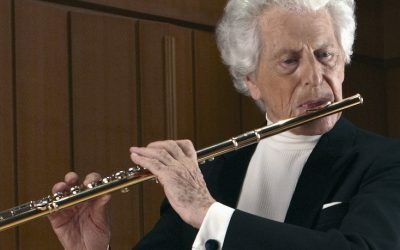 Style is something which is also very important to me, for example if in an audition someone has to play Beethoven, Debussy and Shostakovich excerpts, I would expect each one to have its own personality and colour and for the player to demonstrate an understanding of each composer’s style. We did have some auditions recently for the second flute job in the Hallé and we put up a screen, which is something I have never done before. I have done a couple of auditions behind a screen in the past and found it weird; it’s difficult to perform to a blank wall! So, with this in mind, I deliberately tried to make the Hallé audition as friendly as possible and hopefully encouraging each candidate to play beyond the wall in front of them. Listening from behind a screen was actually much easier than I’d imagined as it was so much easier to focus on the flute playing alone rather than wonder where the person bought their shoes. Unfortunately, we only had ten minutes for each first round audition which isn’t long at all but enough time to find out the fundamentals which I mentioned earlier. Most of all I would stress that the panel know what you’re going through (they’ve been there!) and are on your side! Simply play your best and show us who you are. 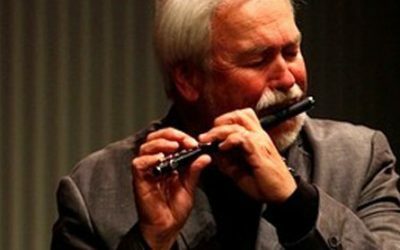 Students often ask how they should play first flute excerpts in a second flute audition. Simply play them how you would in an orchestra. Once you start over-analysing music it can start to sound false and unnatural. How do you fit practice into your fast paced lifestyle? Everyone says that once you’re out of college you don’t have time to practice and it is really true! I suppose the most time I had to practice out of college was when I got the BBC National Orchestra of Wales job. I didn’t have a family, I hadn’t really sorted out my teaching so I had a lot of time of my hands and there was a lot of practice to be done. I was wading through music! Now that I have a family with four young kids it is sometimes impossible. Some days I’ll be watching Bob the Builder and peeling baby food off the walls in the morning and by the evening I’ll be performing Brahms Symphony no. 4. It is really hard to get a good balance between family and orchestral life, and even though it gets easier once the kids start school and sleep better at night, you find you start taking on other work and teaching and seeing the children less and less. Practising is something I can’t rely on doing and so if I find myself with half an hour free (a luxury on some days) I try and focus on things which relate to the repertoire that I am playing in the orchestra at the time. When I have little time, long notes, harmonics and flexibility exercises are so great plus T&G and my favourite Moyse 24 studies (thanks Wibb!). I tend to practice my scales more now and of course teaching at the Royal Northern College of Music keeps me in shape too.